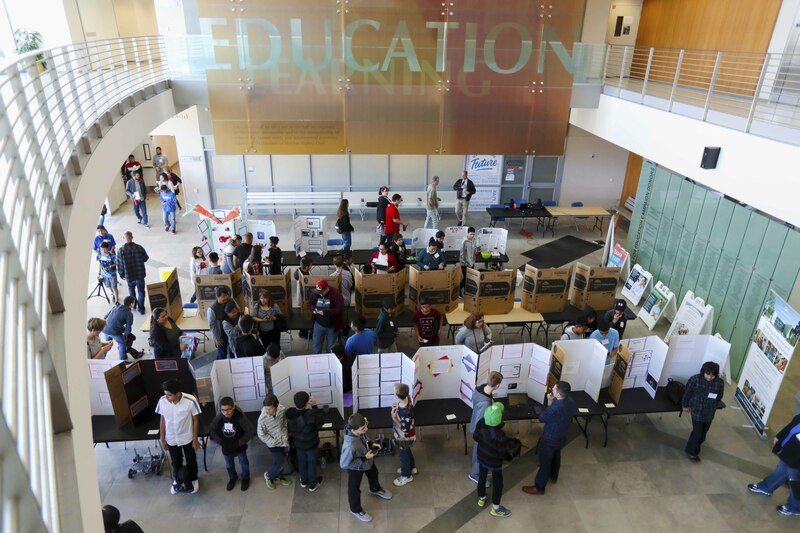 CSUSB’s College of Education was the site of the third annual Makers Fair, featuring projects such as robotics, coding, and 3D printing presented by middle school students as part of the Verizon Innovative Learning Program. 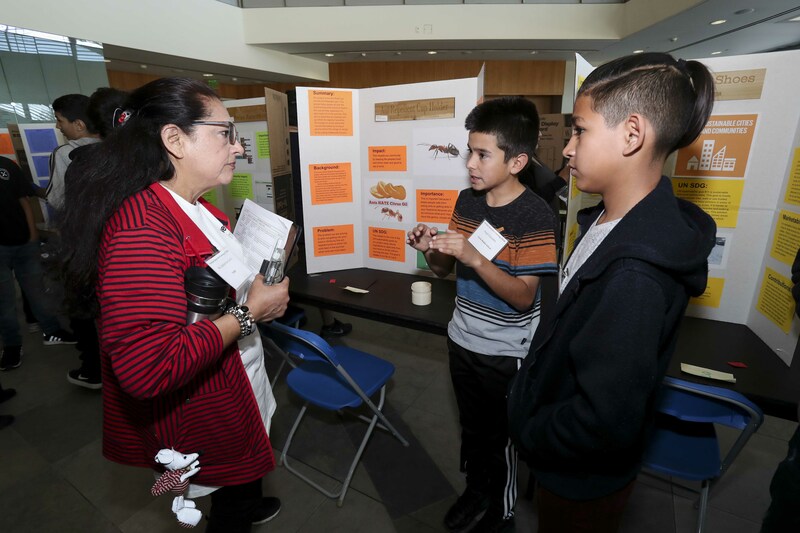 Cal State San Bernardino’s College of Education was the site of the third annual Makers Fair, featuring projects such as robotics, coding, and 3D printing presented by middle school students from throughout the Inland Empire, as part of the Verizon Innovative Learning Program. The fair, held on March 16 in the college’s atrium, featured demonstrations of the students’ work as part of what they had learned throughout their participation in the program. They were all participants in the Verizon Minority Male Makers Program. The Verizon Minority Male Makers Program exposes young male African-American and Latino students to technology, including coding and 3D printing, and provides valuable STEM (science, technology, engineering and mathematics) and entrepreneurship skills. 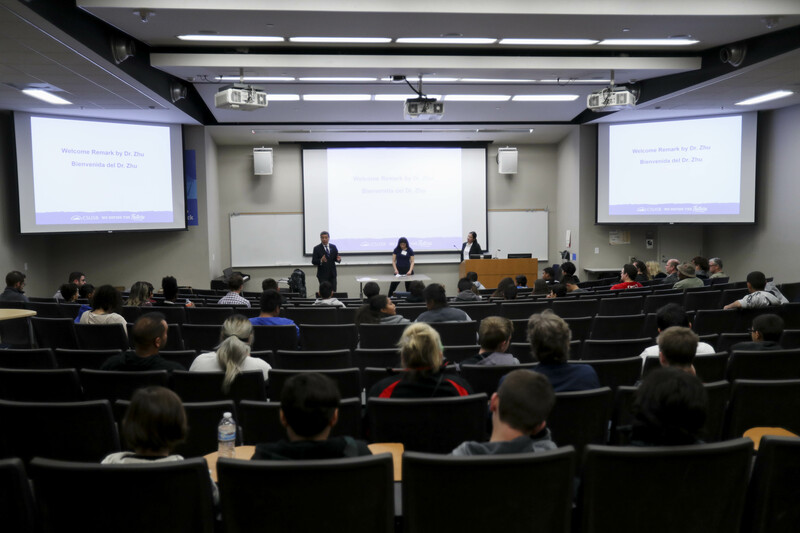 CSUSB, a Hispanic-Serving Institution, is one of the institutions around the country to offer the Verizon Innovation Learning Camp. The Verizon Foundation is focused on accelerating social change by using the company’s innovative technology to help solve pressing problems in education, healthcare and energy management. Since 2000, the Verizon Foundation has invested more than half a billion dollars to improve the communities where Verizon employees work and live. Verizon’s employees are generous with their donations and their time, having logged more than 6.8 million hours of service to make a positive difference in their communities. For more information about Verizon’s philanthropic work, visit the Verizon website. For regular updates, follow the foundation on Facebook (search @VerizonFoundation) and Twitter at @VZFoundation.